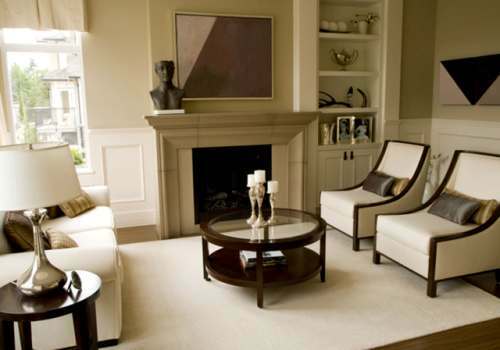 The guides on how to arrange furniture a living room with 2 focal points below will help to evoke balance and harmony. 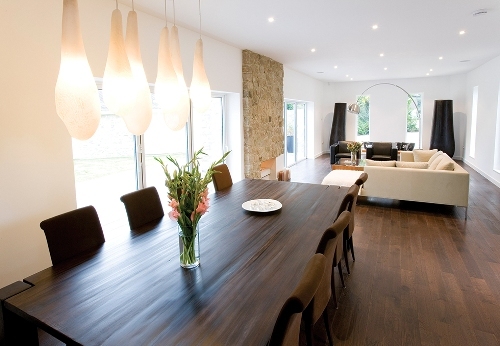 It is possible for the homeowners to have two focal points at the same time. Even though it may give you challenges, you can do it as long as you know the proper arrangement of furniture pieces and placement of focal points. 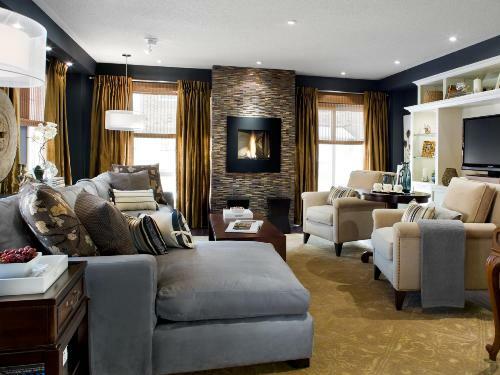 Make the room inviting and cozy for all people even though their attention is divided in two focal points. Let’s identify the focal point in the living room. There are several architectural elements that you can use as the focal points such as the large windows, TV, wall art, dramatic painting, long walls, fireplace, entertainment center and fireplace. 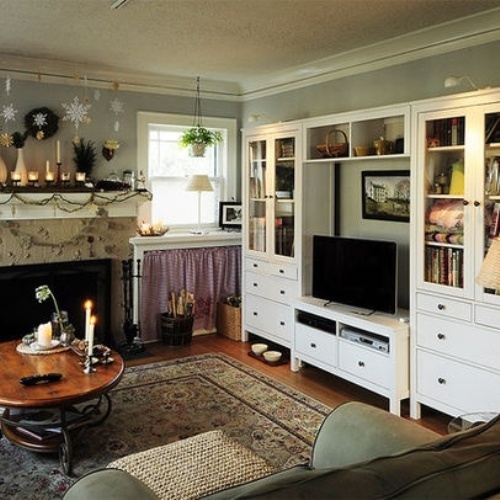 The number of furniture pieces to set inside the living room depends on the area dimension. If you have a very small living room, you just have to keep the important pieces such as a chic glass coffee table, a sectional sofa and chaise. If you have a very big living room, it is okay to locate a long couch, a loveseat, coffee table, TV stand, a cabinet, and a sofa table. When you arrange the furniture pieces, all of them should be directed on both focal points. The pathway in the living room with two focal points should be ample. If you put a lot of furniture pieces, they will block the traffic flow. It will be easier for the people travel inside the living room if you have 2 feet clearance area for the pathway. The focal points should get the attention from the people. Thus, you have to accessorize it. If the window is used as the focal point, it should be decorated with adorable satin curtain and matching valances. The fireplace mantel can serve as the second focal point. It looks nice with an ornate mirror and framed photos. Get ideas on how to arrange living room with a TV here. The people in the living room will be comfortable having conversation if you arrange the pieces face to face. Don’t put them in side by side location. Check ideas on how to arrange living room with two sofas here. 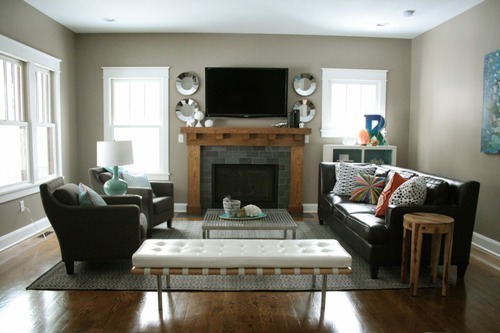 Do you have any comment on how to arrange furniture in a living room with 2 focal points?